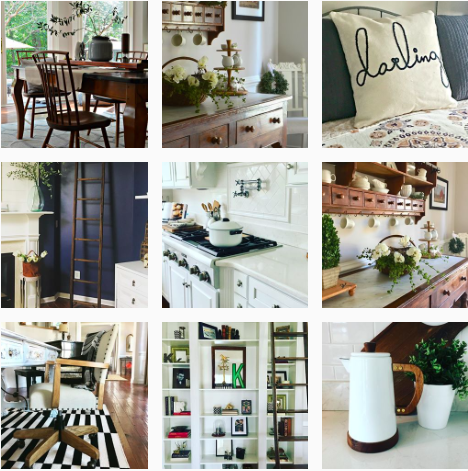 Welcome to Friday Favorites #2. I cannot believe that my oldest will be turning 20 tomorrow and that Thanksgiving is next week! I am really getting excited for the start of the Holiday season. I usually start decorating for Christmas right after Thanksgiving although, I have been known to start the week of Thanksgiving when the boys are off of school. I guess we will just have to see how the week progresses! When we had some warmer weather this past week, I did see a few people doing the outside lights. Although, I kind of like helping my hubby outside when it’s freezing cold. It feels more like the Holiday Season to me. First up, I have the drying rack from World Market. I love this simple little thing! I have looked everywhere for one like this. I found a large one at the Flea Market that I shared here but it was too large and too expensive! Then I spotted one on Migonis Home, a blog I follow. She had one sitting on her counter, it was exactly what I had been looking for. Within two seconds of her telling me where she found it, I was online ordering it from World Market. For $14.99 you can’t go wrong! 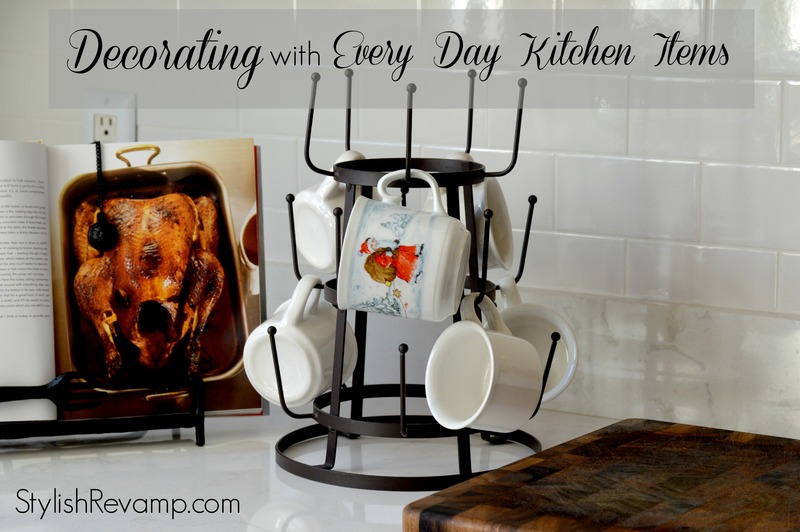 It’s also an easy way to decorate the kitchen for the Holidays…just add some Christmas mugs and it looks festive. This is definitely a Friday Favorite! Beginning in late October or early November, I like to start reading Christmas Stories. It is something that my mom has always done and once I was old enough she started sharing her books with me. 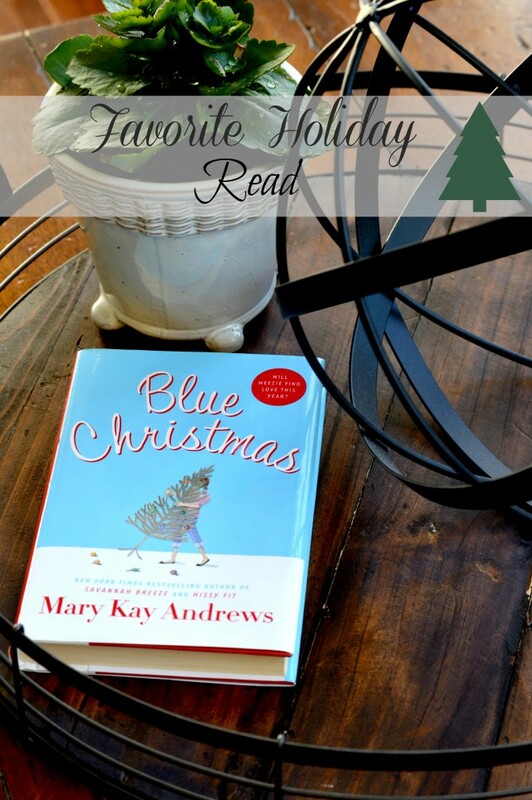 Every year I look for the new Christmas books that have been released but I still reread some of my favorites every year like Blue Christmas by Mary Kay Andrews. This is such a good Holiday read. Mom and I used to trade books back and forth but I liked this one so much I bought one for both of us to keep on hand and I also have it on an ebook as well. Last up this week on Friday Favorites is my Scentsy Plug In. A few years ago, I was visiting a friend of mine and her home smelled so good. She told me it was her Scentsy Plug In. It’s a wax warmer and a night-light. Scentsy has other wax warmers but my Favorite is the plug-in. They also have a lot of fragrant wax melts to choose from as well. 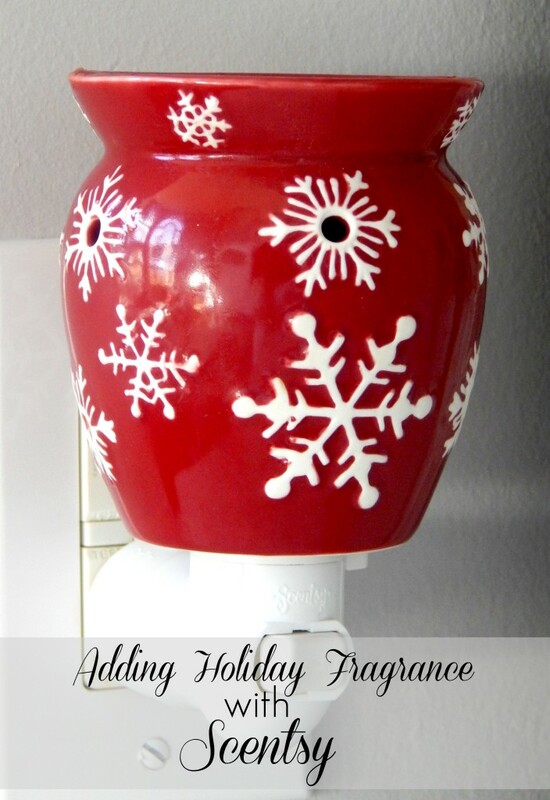 It’s a quick an easy way to add Holiday Fragrance to your Home. 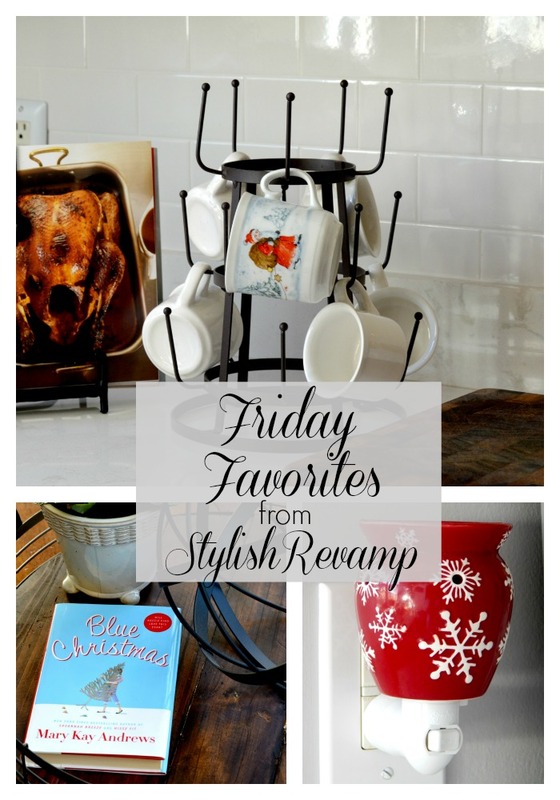 Well, that’s it for this weeks Friday Favorites! I hope you enjoyed. If anyone has a Favorite Christmas Read, please let me know! I am always looking for new Christmas books to add to my collection.